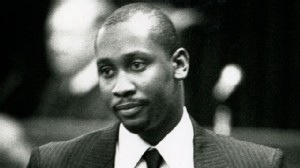 Troy Davis was executed recently in the State of Georgia, for killing a police officer in 1989. Despite all efforts and protests to stay the execution,Davis was eventually put to rest via a lethal injection. Even though, Davis is no more to deal with the series of interrogations and worldwide scrutiny of the American justice system incited by his case, there is still a lingering question as to whether he was justly executed. Others are questioning whether the death penalty is the proper form of justice for accused killers. On the issue of death penalty, there are two school of thoughts. There are the abolitionists who are of the view that the state should abolish entirely the death penalty. To the abolitionist, the death penalty serves no profitable purpose, it is immoral, unjust and therefore, should be ended. On the other hand, there are the proponents of the death penalty; they are of the view that the death penalty is the proper form of justice, the notion that the slayer must also pay with his own life. To the proponent of the death penalty, the slayer is of unsound mind, is aberrant, and as a result it is an abomination to allow the slayer to exist among reasonable people. Therefore, to do proper justice, he must be eradicated and anything short of killing the slayer, is unfair form of justice to the victim. Under American justice system and the criminal law, homicide is the unlawful killing of another. However, not all homicides are crimes; it is possible to cause another person’s death accidentally, that is, accompanied by no mens rea (intent to kill), normally, this gives rise to just criminal liability. Criminal homicide only takes place when a person takes the life of another in a manner proscribed by law. Under the Model Penal Code, the law proscribed more than intentional killing, purposeful, knowing, negligent, and reckless homicides may be punished however, the mens rea element of homicide is important. The determination of what mens rea the defendant possessed, depends on what mens rea can be proven by the prosecution and whatever mens rea is proven determines what crime the defendant may be punished for. On the issue of death penalty, the proponents are yet to make clear where they actually stand, does the slayer deserve the death penalty even when the prosecution failed to prove beyond reasonable doubt? or should the death penalty be carried out when there is a single element of doubt that the defendant did commit the crime? At trial, every element of the crime must be proven beyond reasonable doubt most especially, in criminal cases; if an element is not proven beyond reasonable doubt, the defendant must be found not guilty. This is the rule even if the jury is convinced that all the other elements were true and generally believed that the defendant committed the crime. Before the execution of Troy Davis, there were questions as to whether he did commit the crime, there were holes in the evidence against him, and six of the witnesses against him recounted their stories therefore, does Troy Davis deserve to die? and based on these accounts, is it proper and accurate to say the prosecution has proven its case beyond reasonable doubt? these are lingering questions for the proponents of the death penalty to answer. The abolitionist on the other hand has other views, irrespective of whether the defendant did commit the homicide or not, the death penalty is not the proper form of justice period. That one who kills should not pay with his own life but rather, should be confined and imprisoned and if possible for life depending on the degree of culpability. But who has the proper answer, the abolitionist or the proponents of the death penalty? To determine the answer, one must look at the purpose of criminal justice. Why does the justice system impose punishment? Is it to deter the defendant or others in the society from committing crimes? Is it for reform? rehabilitation? or Incapacitation of dangerous people? These questions have bothered philosophers and students of criminal law; there is no one single answer but there are different opinions as to the purpose of criminal justice. However, the following are the differing views: Some think criminal justice serve the purpose of deterrence, which may be general that is, discouraging others than the defendant from committing the wrong, or discouraging the defendant from committing the same crime again. some say criminal justice serve the purpose of retribution, the exact payment that is, “an eye for an eye”; some are of the view it serves the purpose of denunciation or condemnation as a symbol of criminal guilt as a re-enforcement of moral standards, and as reassurance to the law-abiding that the defendant will not do same again; some see the criminal justice as a form of incapacitation, during the time of confinement and imprisonment of the offender; and finally, some see it as a form of rehabilitation, a reformation or emmersion of the offender and a form of re-integration back into the society. Criminal justice serve all of the above but how does one explain the death penalty? Does killing the offender really serve proper justice? How do one explain the death penalty to those who think by keeping the offender locked up for life and without freedom serves proper justice? Why must the slayer die when he should have been kept here on earth, locked up to pay for the crime committed and then later face his creator? These are questions for the society and the justice system to answer; the abolitionist and proponents of the death penalty have made their views known; it is now left for our law makers to determine whether the death penalty is the proper form of justice. The Europeans have made a decision to eradicate the death penalty in their territories and to join the European Union, a prospective member must agree to the death penalty resolution or else the membership is denied; so, why can’t we do the same? most especially in cases involving doubts as to whether the crime was committed. 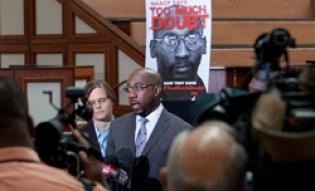 The nation sympathize with the family of the police officer in the Troy Davis case however, there are still issues as to whether Troy Davis should have been executed. These questions the Legislature must answer.